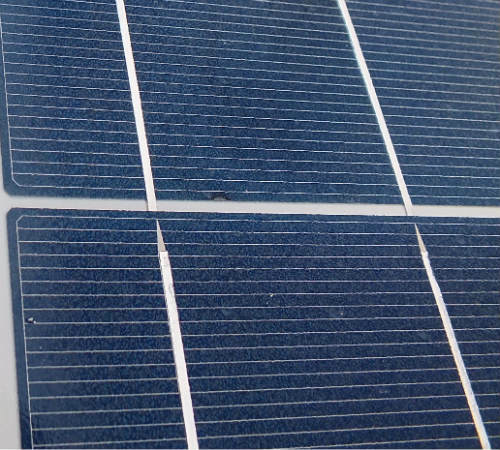 Understanding the advantages of solar panels and indeed the disadvantages is extremely important as the initial outlay for this technology can be significant. For the purpose of this article I'm going to discuss the advantages of both photovoltaic panels (produce electricity) and solar thermal panels (produce hot water) as most of the advantages and disadvantages for both types of solar panels are very similar. Pollution free and clean - energy from the sun is not only free but also pollution free. I accept there are pollutants, waste and transportation emissions in the manufacturing and delivery process. But these are minimal when you consider the pollutants involved in traditional coal fired power stations, not to mention nuclear facilities. However, once your panels are installed your fuel source (the sun) doesn't pollute at all. Plus you don't have to have to get it delivered. So from an energy production standpoint solar energy is among the cleanest available anywhere on our planet. Efficient - With the advent of home battery packs for use with PV panels you're now in a position to store and use 100% of the energy you produce thus reducing your pay back time. You'll also be able to use your own free electricity after dark. Lower Your Energy Bills - Having your own power station attached to your roof will obviously reduce the running cost of your home. 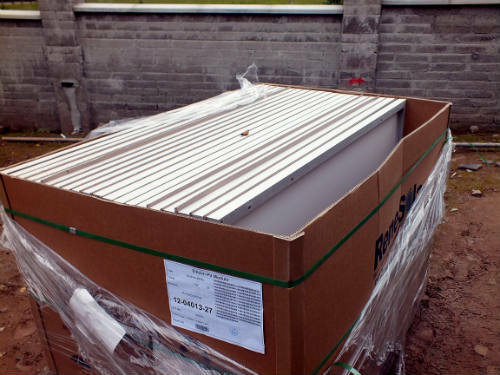 Simple Installation - installing solar panels is very straight forward although you'll need to use a MCS certified installer if you want to avail of the grants available. Minimal maintenance - once installed your solar panels are pretty much self sufficient and maintenance free as they don't have any moving parts. If the additional equipment such as invertors, harvesters, micro-inverters for PV panels and pumps etc. for solar thermal panels are pretty reliable (and easy to replace should they develop a fault). Infinite power supply - fossil fuels are a finite resource. At some stage in the future we will run out, and until that day comes the cost of our dwindling fossil fuels is only likely to increase. One of the main advantages of solar panels is that as long as the sun continues to shine you'll have a free source of power and/or hot water. 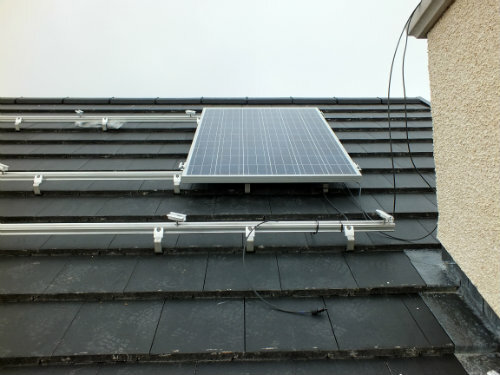 You can even connect your PV panels to your immersion heater to generate hot water if you don’t want to install solar thermal panels. Don't require a local fuel source - One of the biggest expenses with fossil fuels is that of transportation. The further you have to transport it the more it costs. Solar energy is available anywhere you have sunlight, so after initial manufacture and installation, there are no transportation costs. Can be used in remote locations - this may not affect many of us in the UK or Ireland but because solar energy is available anywhere the sun shines (it does not have to be direct sunlight, but direct sunlight will yield more energy). This means it’s possible to provide electricity in the middle of the desert or free hot water in the Antarctic (provided the sun's out). Here in the UK and Ireland it means you don't have to be connected to the national grid although this is unlikely to be an issue. 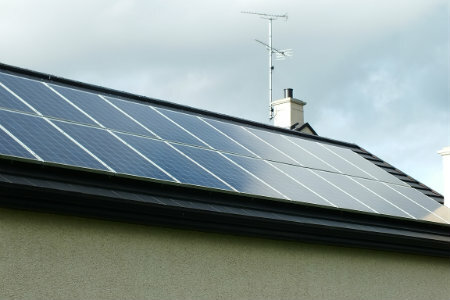 Cost - this is a difficult one, as the initial cost of installing solar panels can be significant. However once installed, as mentioned above, the energy is free and they should require minimal maintenance. 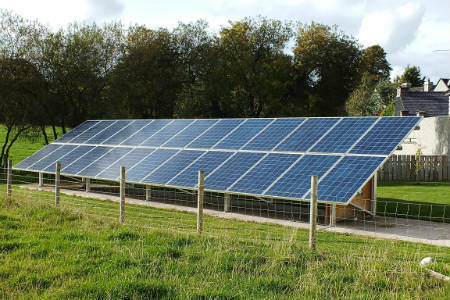 Solar as an investment – Depending on where you live in the UK currently you’ll be entitled to grant assistance for producing electricity with PV panels. Although it looks like this will be reduced significantly at the start of 2016 (N.Ireland has grant aid in the form of the NIROCs until 2017). 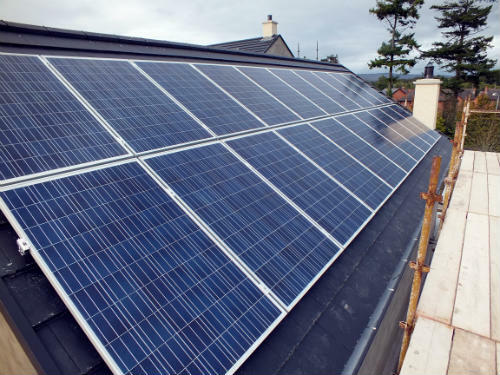 The assistance takes the form of the Feed in Tariff (FiT) in England, Scotland and Wales) OR Northern Ireland Renewable Obligation Certificates(NIROCs) in N. Ireland. Solar thermal panels also attract grant assistance in the form of the Renewable Heat incentive throughout the UK. Cost Efficient - typically pay back periods are between 7-10 years yet the life expectancy of most panels is 20-30 years so once your panels have paid for themselves the rest of what the produce is free and goes towards reducing the amount of power you need to buy from elsewhere. But before you make up your mind have a quick read over my article covering the disadvantages so that you have a balanced view. 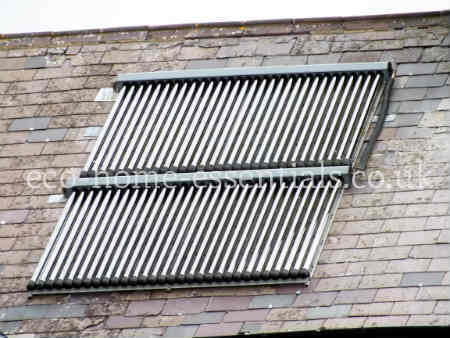 You might also want to have a look at my other articles on solar thermal panels and PV panels. 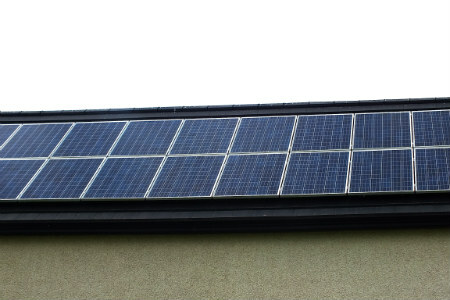 These will help put you in a better position to make a balanced decision concerning solar panels and whether they’re right for your situation.